Author Rebeccah Slater said: "Touch seems to have analgesic potential without the risk of side-effects." "Parents intuitively stroke their babies at this optimal velocity," said Prof Slater. "If we can better understand the neurobiological underpinnings of techniques like infant massage, we can improve the advice we give to parents on how to comfort their babies." "There was evidence to suggest that C-tactile afferents can be activated in babies and that slow, gentle touch can evoke changes in brain activity in infants," said Prof Slater. "Previous work has shown that touch may increase parental bonding, decrease stress for both the parents and the baby, and reduce the length of hospital stay," said Prof Slater. 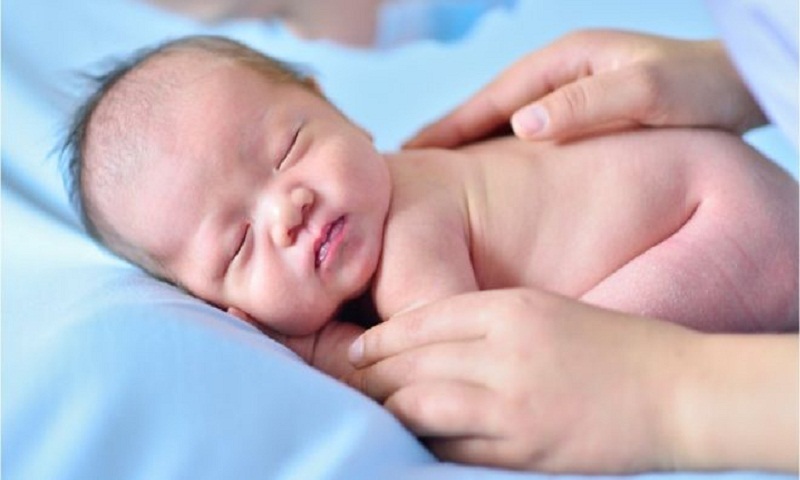 "We already know that positive touch - such as skin-to-skin care - makes a real difference directly to babies in neonatal care and also helps parents to bond with their baby. "This new research suggests that parental touch could also help to alleviate pain in infants and Bliss is delighted to be funding Oxford University to do more research specifically on reducing pain in premature babies through the use of parental touch, from the new year. "Many people do not realise just how many medical procedures a baby in neonatal care goes through during their hospital stay. "Anything that can reduce a baby's discomfort is a huge step forward in this underfunded area of research."